Brand New Convertible Header Weatherstrip Seal. High Quality OEM Style Replacements. Fits the following Convertible models. 1987 - 1992 Chevrolet Camaro - Z28. Has a very smooth skin that is free of exposure cells or flaws. Is composed of micro-closed cells that are uniform in size, providing even compression and sealing so you won't have to slam your doors. Is jet black, not ash gray, for a refined, concours look. Molded using computerized temperature control for consistent cure cycles. This prevents scorching or undercured parts. Is guaranteed for a full 15 years. Each parts comes with a certificate of guarantee. 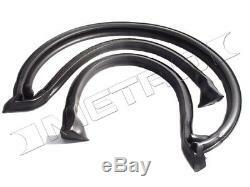 The item "87-92 Camaro Firebird Convertible Header Weatherstrip Seal HD1510 Metro USA MADE" is in sale since Saturday, September 8, 2012. This item is in the category "eBay Motors\Parts & Accessories\Car & Truck Parts\Exterior\Sunroof, Convertible & Hardtop". The seller is "tamraz" and is located in Naperville, Illinois. This item can be shipped worldwide. For more info see p65warnings.gov/ Prop 65 is an approved initiative that addresses concerns about exposure to chemicals known to cause cancer, birth defects, or other reproductive harm. To comply with Prop 65, businesses are required to display a warning for listed chemicals unless exposure is low enough to pose no significant risk of cancer or is significantly below levels observed to cause birth defects or other reproductive harm.